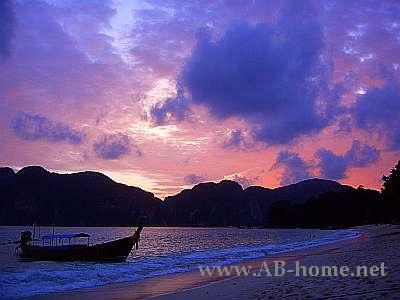 2006 Marius and I visited on our Thailand travel tour the island Koh Phi Phi in the Andaman Sea. This beautiful island belongs to Thailand’s Krabi province. My first time on this Island was in April 06 when I was on holidays at Phuket. Here at Koh Phi Phi are two islands. Ko Pi Pi Leh and the habitat island Koh Phi Phi Don. On Ko Leh are no guesthouses, resorts or hotels. Just some rangers of Thailand’s Marine National Park living here in tents. 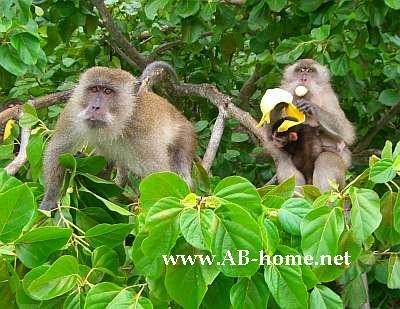 The only constant habitats are the monkeys, snakes, spiders and birds. Phi Phi Leh is famous for Maya Bay which is the amazing beach from the American movie “the Beach” with Leonardo Di Caprio. 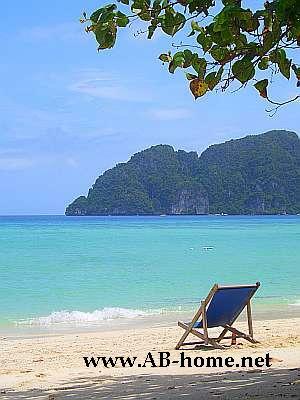 This beautiful Asian spot you can reach easy by speedboat from the pier on Phi Phi Don. The island is nearly perfect for water activities like scuba diving and snorkeling. In the small village are many scuba dive centers who offer dive trips to the marine national park. I did here two fun dives with “South Siam Divers”. The service and the food on board of this luxury dive boat were excellent and the crew had an open ear for all questions. 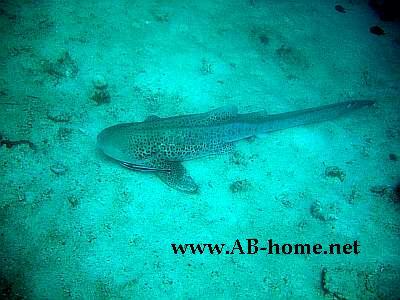 On my first dive we were at the “Bida Nok” dive site were we seen a leopard shark and a sea turtle. The scuba dive was 45 minutes long and my maximum deep was 25 meter. The second dive site was “Bida Nai”, here we was 48 minutes on 20 meters. On the 2nd dive spot we saw allot of colorful marine life. The visibility was not that nice, we had about 8 meters on the first and 10 meters on the second dive here at the Koh Phi Phi National Park in Thailand. Maya Bay is amazing but the other beaches on the island are as well beautiful but a bit busy. 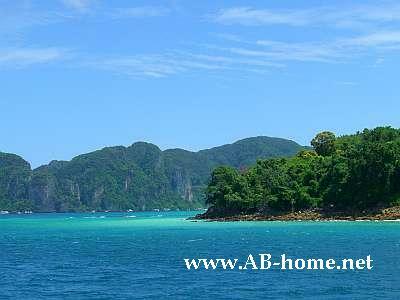 The archipelago is one of the most visited destinations in southeast Asia. Two years after the tsunami 2004 the most hotels and resorts was already rebuild. We were staying on the quiet Hat Yao beach in the Phi Phi Paradise Perl Resort. This resort offered for 400 Thai Baht a massive room with fan and an own bathroom. The restaurant offer delicious sea and Thai food. The balcony of this resort is direct on the Andaman Sea with view on Koh Phi Phi Leh. Our second night we spent as well on the Hat Yao beach but in the “Phi Phi Long Beach” guest house. The small beach huts with own Toilet and shower was 300 Baht per night. This beach is much quieter than the Hat Hin Khom beach in the AoTon Sai bay. From the Ton Sai village there is no real way to the Had Yao paradise beach. If you want to stay on this or on the Hat Ranti beach you have to climb thou the jungle or the easier way is by a long tail boat from the main pier. The Thai fisherman’s bring you for small money from the Ton Sai village to the beaches on the east coast of this tropical Island in Thailand. The highlight was the scuba diving and the sunset behind the chalk mountains. The landscapes on Koh Phi Phi are unique! Visit this beauty destination in Thailand. For more information about this tropical archipelago read the Lonely Planet for Thailand or southeast Asia. The Islands at Krabi province count to the beauties I ever saw and it’s one of the “must see” destinations for every traveler or backpacker. For people who want to do beach holiday, Pi Pi Don offer a great choice of high-class hotels with swimming pool and everything what you need on vacations.